Mass Effect 2 is due to hit store shelves the beginning of next year and with the standard release will also come the collector's edition. 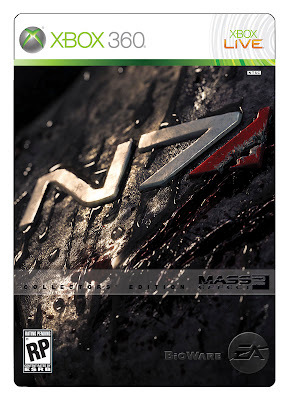 The uber special version of this game will come in a tin case, shown above, with a 48 page hardcover art book, issue 1 of the Mass Effect Redemption comic book, behind the scenes DVD, and unique weapons and armor. After spending the countless hours playing the first entry, the sequel is definitely on my wish list, but will it warrant the $69.99 attack on my wallet?